Video has become one of the key ways people want to digest information online and that will continue to be the case as we move into 2019. When it comes to the real estate market, Facebook Live offers great untapped potential. Not to mention it is highly favored by Facebook’s ever changing algorithm. If you have not tried your and at Live video, now is the time. The latest version of Facebook. Launch the app and you should see a “go live” button next to the status update tab. 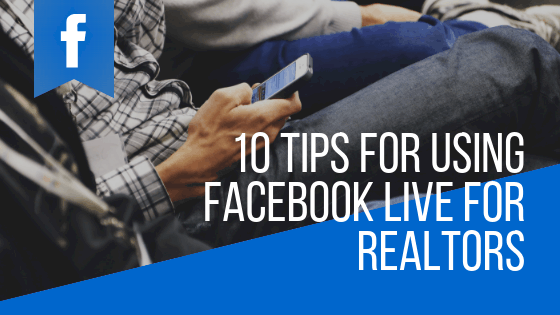 Here are 10 ways you can start incorporating Facebook Live videos into your real estate marketing today. 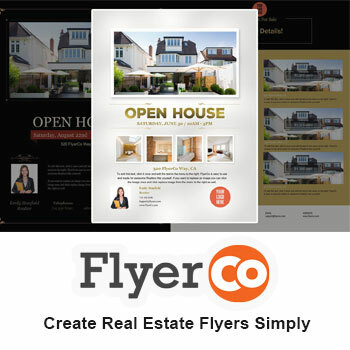 Do you have an open house coming up? Take it Live this time too. By hosting a traditional open house while also doing a live streaming, you have the opportunity to not only engage with those at the open house, but you also get to interact with potential buyers online. Just as you would with a walk through, discuss all the amazing features of the home as well as the neighborhood it is located in. Be sure to extend an invitation for those watching to come check out the property in person and don’t forget to mention the address. Bonus tip: Before your open house, you should create an event page for the property that provides the date and time so that potential buyers that are looking in the same area can also check out your property. Also be sure to cross promote your live stream on your other social media accounts like Twitter and your personal Facebook page. Doing a virtual showing is a great way to reach those that are either not in the area or just have hectic schedules. This acts like a little “private tour”. Any helpful topic you can cover and provide valuable information on is a good idea. This could be tips for first-time home buyers where you answer common questions asked about the buying process. Some other ideas you can cover include the short sale process, best time to sell a home, tips for finding the best property for families..any topic that would be helpful is game here. Whether you just acquired a new listing or you want to showcase your knowledge of the area, taking viewers on a little tour of your neighborhood is always a great idea. Show off the best place for a coffee, cocktail, dinner etc. Just be sure to have some helpful knowledge to share as you go around your town. You want to show you are the expert on your city. You probably have an inspector you refer business to. See if they will consider allowing you to come along on an inspection so you can show people what the process looks like. See if they will agree to discuss some of the main things to look out for when buying a home as well as address a list of the most common questions they get. This really is a win win for both of you since they will get some exposure for their company too. This is another one where you have so many different ways you can implement a question and answer session. Give thought to what your buyers and sellers have often asked questions about and create a session around that. You can also set up a meeting with a lender and allow people to ask questions on the loan process and if you can’t swing a sit down, gather the information yourself. Another idea is to grab some neighbors and have them talk about what makes their neighborhood so great. Social proof for the win. Make yourself more approachable by taking viewers on a sneak peek of what goes into being a realtor. This could be a meeting with coworkers or a peek into how you go about marketing a listing. Preparing a home for sale? Take your viewers on a tour of what goes into staging a home. Ask the stager to give tips on how to stage a home for sale as well as the benefits staging a home provides to the sale of a property. People love a a good success story. Come up with a recent client for whom you found their dream home or you sold their home in record time. If possible, try to set up an interview with them. People love social proof. This one is a great way to set up some partnerships with local businesses. Make it fun by pulling out the name of the winner live and try to do it in a public place. Showing support for your neighborhood will help promote your business and get you seen. This is live video and you need to be somewhat prepared. Avoid rambling by putting together an outline before going live. People don’t always join at the beginning of your video, so be sure to not present the most important details right off the cuff. Keep your video on the shorter side, you don’t want them losing interest. Consider investing some money into a Facebook ad. Your ad should click through to a landing page that discusses your upcoming live stream and allows people to input their email address to receive reminders. This gives you a great opportunity to collect email addresses you can use for future marketing campaigns. Since you are spending money here, consider saving this technique for your most important broadcasts and make certain your landing page is properly set up to capture leads. Contact friends and family and ask them to actively participate by commenting, sharing and engaging with your live video. This will help increase exposure and make your video appear in the news feeds of other potential viewers. Send out an email blast to your current list of subscribers to let them know when you will going live. Ask them to forward along to anyone that might be interested as well. Using video marketing is the hottest trend that is here to stay. Facebook Live presents a great opportunity for real estate agents to take their brand exposure to a new level. The above tips will get you started with some ideas on how to bring live content to your audience and help foster a deeper connection which can lead to more business.